People write to the Times when they hear their first cuckoo. They write to the Times when they don’t. Sadly the common cuckoo is no longer common. Why do we care so, about this thug? Parasite, killer, mafia godfather, protection racketeer. Extortion, deception, intimidation retribution and ruthless exploitation are his crimes and yet we just love his spring song. Worldwide there are many different cuckoos. In April, the common cuckoo arrives in Britain from Africa, its migratory home. 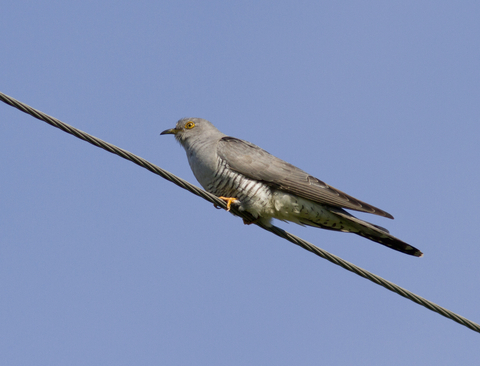 Like many, but not all, other cuckoo species it is a brood parasite, laying its eggs in other birds nests. 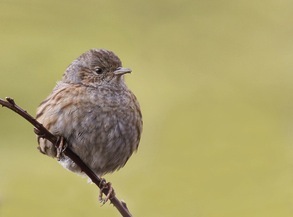 In the UK, pipits, reed warblers, dunnocks, pied wagtails and robins are a few of its unwilling hosts. In the case of our european cuckoo all of of the foster parent’s chicks are pushed out of the nest as the cuckoo chick grows. The common cuckoo in flight is reminiscent of a sparrow hawk and its fearsome sight distracts the potential host and provides opportunity for the cuckoo to hastily deposit its egg. The egg has a hardened shell resistant to cracking when dropped in the nest. There are seven distinct identities of the common cuckoo called gentes. Each gens (singular) is specific to an individual host. 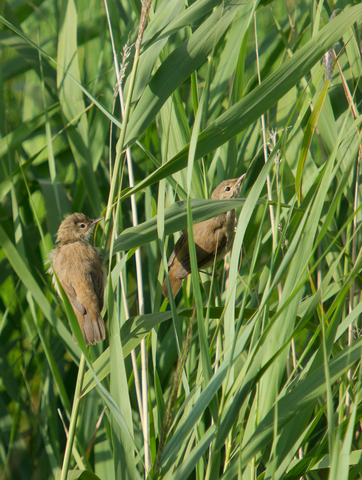 A cuckoo hatched in a reed warblers nest is imprinted by its foster mothers song and when in turn it lays its own eggs it is able to use this cue to seek out the reed warbler host. Each gente’s eggs are barely distinguishable from those of the host. There are nice pictures of egg mimicry on this interesting site. Although the young cuckoo’s return flight to Africa is later than its natural parent, unerringly they find there way back to their ancestral home. Look and learn Don Corleone, these are some of the strategies used by different species of cuckoos and hosts in this turf war. Groups of potential victims will mob a cuckoo on sight. This is a learned recognition and is partially thwarted by the common cuckoo existing in two guises, one rather grey and the other with reddish brown colouration. 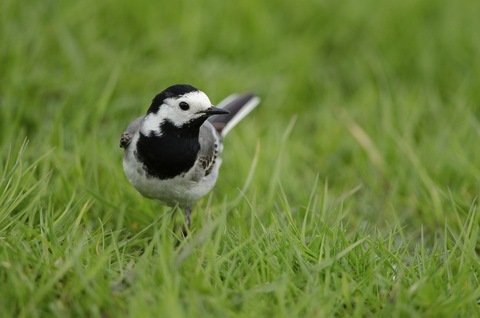 Neighbouring birds will recognise one form but the other will sneak in. 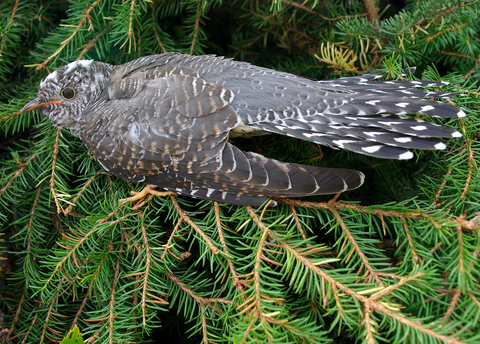 If a bird detects a cuckoo egg has been laid, it will abandon its nest and rebuild elsewhere. If a potential host lays too early, the cuckoo will trash the nest and and spy out the new nest. Cuckoos maintain surveillance over the host’s nest. They just don’t lay their egg and abandon it. One reference suggested it enforces the correct insectivorous diet! The Spanish spotted cuckoo ‘allows’ one host chick to survive. 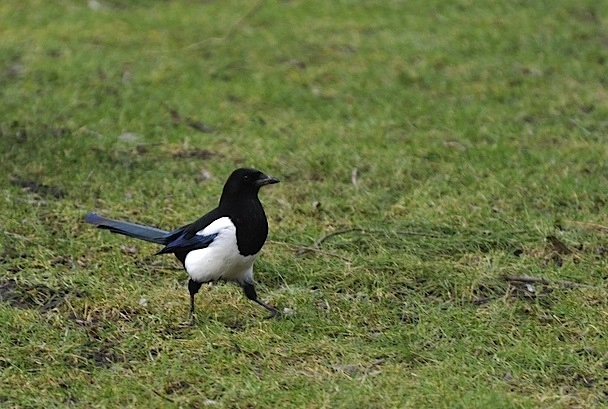 Should the magpie foster mother detect a cuckoo egg and eject it, the cuckoo returns and destroys the complete nest and all its content. The threat of this retribution enforces the host to comply. The Australian fairy wren is one step ahead of the cuckoo, it gives it’s offspring a password! Still in its egg the bird is imprinted with elements of the bird’s song. If this ‘note’ is not repeated in the fledglings cry, the nest is abandoned. The cuckoo’s egg laid later does not have time to imprint. Ergo, no password, its a cuckoo, abandon nest. The foster hosts of the common cuckoo are starting to breed up to a week earlier. The migrant cuckoo might arrive too late. Most experts consider this is not the reason why our native cuckoo is in decline. I cannot help thinking it is a new salvo in the evolutionary war! The cuckoo fledgling’s cry is so appealing, bird’s other than the foster parent have been known to provide food! In many European languages the name is onomatopoeic. In French cou cou, in German cuckuck and Italian cuculo. It is only in Europe that the cry ‘cuckoo’ is heard, never in Africa, its migratory home. The cry is exclusive to the male and it’s double tone softens in June. “In June I change my tune”. It has an insectivorous diet and noxious hairy caterpillars are a favourite food. And we do love the cuckoo. How can we not. He’s the balance of nature. Although we rarely see him, his call represents Spring. Nature is red in tooth and claw. Why should we blame him? Harry Poole pictures taken in his garden at Seaton Ross (other than reed warbler). In 29th March issue of The New Scientist under the heading ‘Smelly cuckoo protects crow chicks’ is some very interesting information about the great spotted cuckoo. Daniella Canestrari in Spain has shown this parasite’s relationship with the carrion crow is elevated to symbiosis! Apparently the cuckoo in the host crows nest produces an incredible foul smell from it’s cloaca. If you were a bird predator I don’t expect you would savour its flavour. When predators were active the host crow successfully raised 40% more chicks when the cuckoo parasite was present rather than when the baby crows had a nest to themselves. Nature is often cruel - like the birds, reptiles and mammals that raid nests and take all the eggs or chicks. I know it happens but to be honest I don't want it to happen in my garden. Double standards I know as I happily watch a thrush bash seven bells out of a snail shell. Yes, we walk a tightrope between admiration and distress. What an interesting post! I cannot believe how much the underparts mimic a sparrowhawk when you see them close up. You seldom do get to see cuckoos close up so thanks for the great pics. I agree - most informative. I didn't realise I actually knew so little about them. 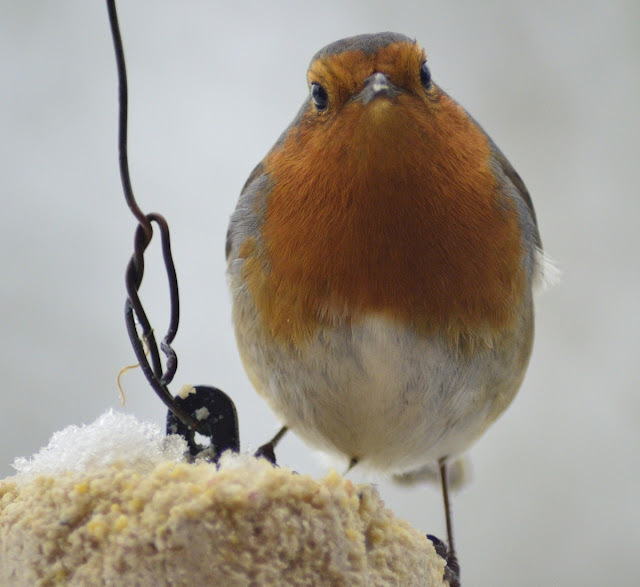 I loved the robin pic - they are my very favourite bird in the garden! I'll look forward to that Roger. I have a couple of friends who went to the London Squares too! Isn't is just fascinating how they prey species evolve and adapt to outwit the cuckoo? No doubt the cuckoo evolves just as fast to come up with new countermeasures! It's like an eternal genetic arms race. They are notoriously elusive and difficult to photograph. And some of the adaptations are relatively quick, perhaps indicating a large reservoir of existing variability. I do have an interest in epigenetics Roger. I suspect that much of evolution was probably quicker than we think, especially in relatively recent centuries. Really interesting article. Gardens are not just about flora, the fauna is just as fascinating. It's good to learn something new - I feel I have rather taken cuckoos for granted as being just a welcome harbinger of Spring.